For the S&P, the index is up about 10 points at 2734.65. The high have in at 2735.95. 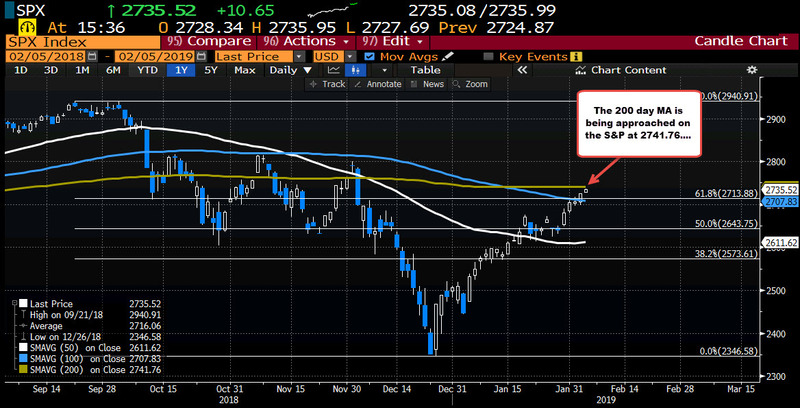 It's 200 day MA comes in at 2741.76. For the Nasdaq it is up about 52 points t 7399.27. The high reached 7402.18 so far. 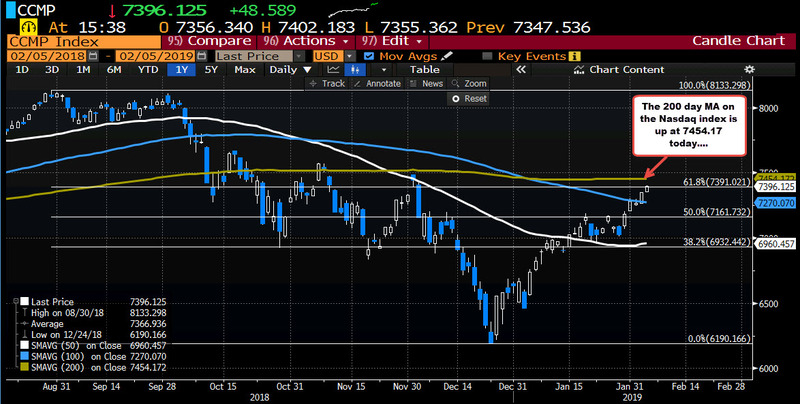 For that index, the 200 day MA is up at 7454.17. Admittedly, there is some room until there is a test but the price is getting closer. Each of the broad indexes moved above, and closed above, their 100 day MAs yesterday (blue lines in the charts). Those levels are risk levels for longs looking for more upside momentum.